Reneé is the author of “It IS All about You! 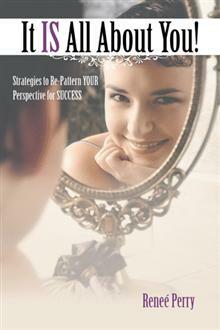 Strategies to Re-Pattern YOUR Perspective for SUCCESS”; a book designed to change the conversation about success. She also is a speaker and gives presentations to help business owners achieve their success. Reneé loves to support business owners and entrepreneurs because she admires the courage they have to start their own business and knows that everything is determinant upon their business success. Author of "It IS All About You!" Free Monthly "Business Success Workshops"